In recognition of National Nutrition Month in March, Academy of Medical and Public Health Services (AMPHS) invites all Sunset Park residents and visiting New Yorkers to attend a FREE healthcare screening on Saturday, March 16, 2013 in Sunset Park! 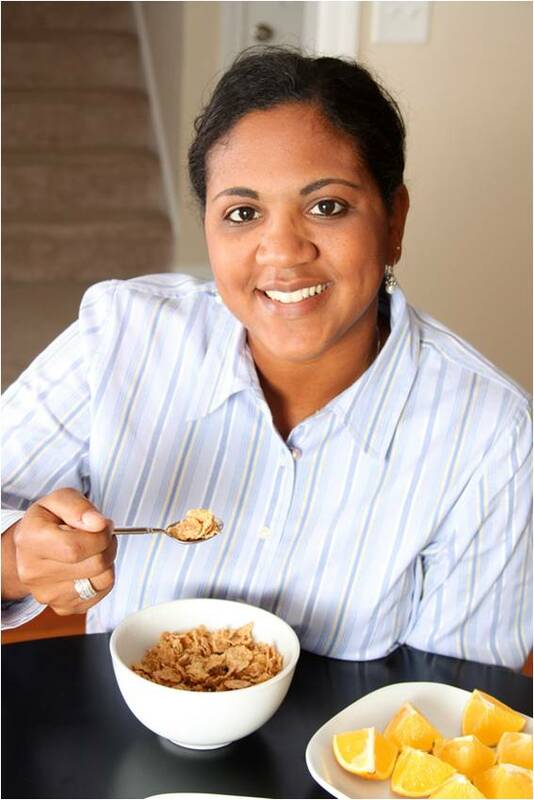 Come learn how you can maintain good health and a balanced, nutritious diet. You can also enroll in affordable public healthcare insurance, if you are eligible! A facilitated enroller from Affinity Health Plan be there to tell you about free or low-cost health insurance options for your children and family. If you are interested in enrolling in affordable healthcare insurance, here’s what you will need to bring with you. Please be advised: anyone seeking affordable healthcare insurance must be a LEGAL resident of the U.S. Friendly staff that speak Spanish will be there! If you know anyone who would like to attend, please refer! Please note: All healthcare screenings are optional and information will be kept strictly confidential. Academy of Medical and Public Health Services (AMPHS) has partnered with Affinity Health Plan. Affinity Health Plan is a non-profit organization that offers free or low cost healthcare insurance to residents of the New York City metropolitan area. A facilitated enroller Affinity Health Plan joined us during our February 16th Heart Health Month screening to enroll all who are eligible for government-assisted healthcare insurance such as Medicaid, Child Health Plus, Family Health Plus, and Medicare. Affinity Health Plan will be joining us every month at our office during our free health screenings in Sunset Park. Our screenings take place monthly on the third Saturday. For a listing of dates of our monthly screenings, please check our website: http://www.amphsonline.org. About Affinity Health Plan: For over 20 years, Affinity Health Plan has been offering free or low-cost health coverage to New Yorkers who have Medicaid or no health insurance at all. Their goal is to help you Members stay healthy. Each of our members can count on our promise of great customer service. We promise to work hard to make it easy to get the care you need. The mission of Affinity Health Plan is to improve the health of underserved populations by providing comprehensive, affordable, high quality health care coverage, and by striving, in collaboration with its primary care providers, to improve care-seeking and care-giving. Back in November, we announced that we partnered with Vision USA to help eligible individuals apply for ophthamology check-ups at no cost to Brooklyn residents. We are pleased to announce that, along with Vision USA, we have also partnered with New Eyes for the Needy to help low-income community members without health insurance obtain free professional eye examinations and free prescription glasses. In collaboration with Vision USA and New Eyes for the Needy, our Vision Assistance Program makes receiving free eye healthcare possible for those in need. 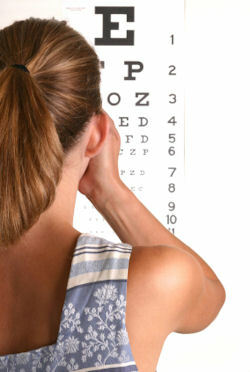 We are the only organization authorized to offer Vision USA services in Brooklyn. How does this program work? During our monthly in-house screenings, clinical volunteers will continue to offer the routine Snellen eye checks but if they find that the community member needs prescription glasses, they will assist them in applying forprofessional follow-up through Vision USA, where they can obtain a free basic eye exam and lenses prescription. Both programs require community members to fulfill certain qualifications, including income levels and health insurance status. Immigrants who are unable to participate in the Vision USA program may qualify alternatively for the New Eyes program, given that they obtain a prescription from a local optometrist, which often costs $20-$30. We have been able to help community members who are unemployed and uninsured obtain glasses for free or for a low price, when they were deterred from ophthalmologists that they had visited from obtaining glasses because of the cost. To apply for these free ophthalmology services, a community member must work with a charitable organization (such as AMPHS), a social worker, case worker, or a community health agency to submit an application. Any one in need of free eye care services can visit our headquarters office in Sunset Park, Brooklyn and be screened. Right now, we are only taking applications during our monthly in-house screenings, and other special events, where indicated. We encourage everyone to check our National Event Calendar for dates for our monthly in-house screenings and other special health events and screenings. New Eyes works collaboratively with social service agencies, optical dispensers and vision missions, improving the lives of over 7,500,000 people in the US and 87 countries around the world since its founding. 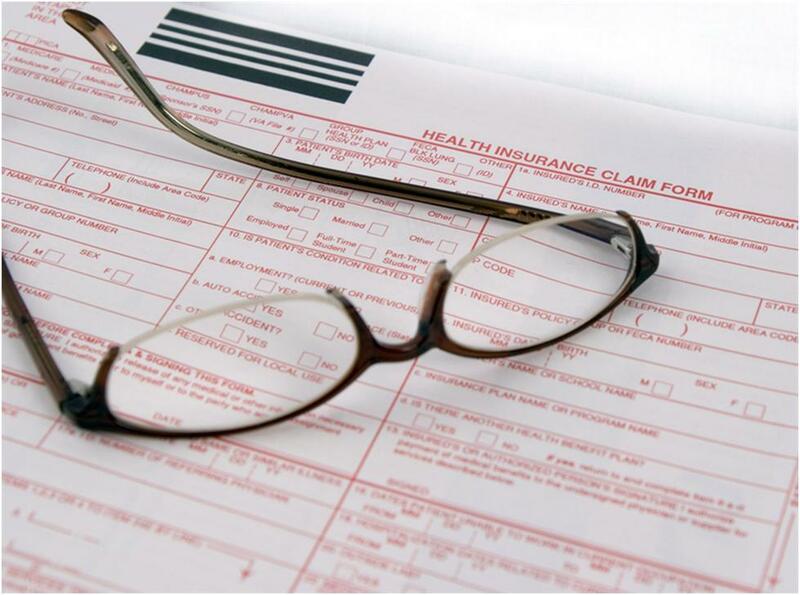 Social service agencies first screen the community member for income eligibility and assist them in filing out a form to send in to New Eyes along with a recent vision prescription. Should they be approved, New Eyes will send a voucher to the agency within 4 weeks, which the agency will remit to the community member. Both programs require community members to fulfill certain qualifications, including income levels and health insurance status. Immigrants who are unable to participate in the Vision USA program may qualify alternatively for the New Eyes program, given that they obtain an prescription from a local optometrist, which often costs $20-$30. We have been able to help community members who are unemployed and uninsured obtain glasses for free or for a low price, when they were deterred from opthamologists that they had visited from obtaining glasses because of the cost. Vision USA was established in 1991 to provide basic eye examinations to Americans in need, and is currently available in 39 states and the District of Columbia. American Optometric Association (AOA) works primarily with member social agencies and optometrists to connect low-income community members with no health care access to the basic vision care they need. Social agencies will assess community members’ eligibility for the Vision USA program and thereafter, assist them in filing out the appropriate paperwork to apply for assistance. AOA will then make a referral for the community member to visit a local member optometrist, who donates their services at no cost. Yes, love is in the air and Valentine’s Day is in 10 days. Do you have that perfect gift or place to dine with your Valentine? If you’re still in search of that perfect gift or romantic place and on a budget, then look nowhere else but Goodshop and Gooddining! Gooddining (www.gooddining.com) allows you to earn money for your cause while eating out at your favorite restaurants. How does Goodshop and Gooddining work? Just indicate Academy of Medical and Public Health Services as your charity, shop or find a participating restaurant, use your coupons, and pay with a credit card online or at the restaurant. It is that easy! All of your donations will be used to support our mission of providing access to affordable healthcare insurance and services to those in need in the underprivileged community. So, spread a little love to the needy and your community this Valentine’s Day. Your community will love you back. Start shopping today and support AMPHS’ mission! Have a Happy & Healthy Valentine’s Day! As many of you know, over the 2012 holiday season, we (AMPHS) had a humble fundraising goal of $2500 to ensure that we are able to do even greater things with our vision for increasing healthcare access and for continuing our programs and services to many people in need in our community. We are proud to announce that we received our first corporate donation from Chiu Consulting Group (CCG)! CCG is a global strategic, marketing, and management consulting firm combining time-tested frameworks with implementing new customized systems and technology to drive sales, increase revenues and funding, carve niche markets, and expand customer base. CCG is focused on delivering innovative solutions built upon best practices in business to some of the most pressing concerns facing diverse organizations. CCG’s specialities include the Healthcare, Not-for-Profit, and Corporate sectors. Ingrained into the core of CCG’s foundation is a firm belief in philanthropy and as such, CCG frequently gives back to its communities through an active Social Responsibility Program. We would like to thank CCG for their generosity and kindness in supporting us in our mission to meet our healthcare goals for the community, and improve lives in the process. It is not too late to make a donation. Please consider donating to AMPHS to help continue meeting the healthcare needs of our community members. You can easily and safely make a donation on our website at: http://www.amphsonline.org/donate/ or click the “TAKE ACTION” button below! Redesigned navigation to highlight the redefined focus on community public health & medical services. Dedicated Clinical Services section to explain step by step to community members what to expect, how to prepare, and the background information for our medical services. A dedicated project site for the Community Health Project. Integrated social media & live Twitter feed on homepage. Up to date monthly statistics on how many community members impacted. Integrated myamphs account login pages for community members to access their health records; volunteers and staff to easily access their AMPHS systems. Integrated IM client to live chat with AMPHS representatives as they are available. The new site also allows anyone interested in volunteering or donating to us via our “Take Action” button on the upper right hand side of the screen. Under the “Programs” tab, we included a program calendar that lists all of AMPHS’ upcoming activities for the month. Here are some additional functionalities coming soon! A dedicated Public Health & Wellness section with updates, advisories, media and other materials for anyone with internet connection to access our resource center without needing to come to office. Translated site into Spanish for community members. 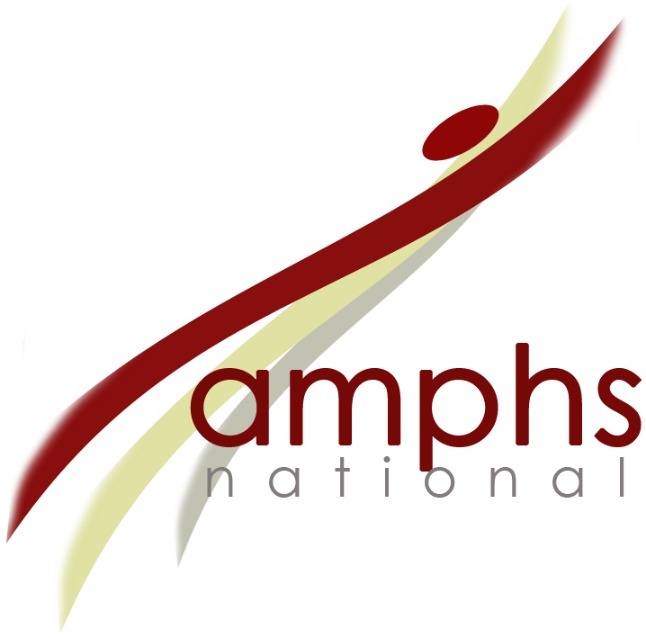 If you haven’t recently visited the site, please visit us at: www.amphsonline.org. AMPHS reviewed the basis of health reform for community members, and the alternatives that exist for those who are not covered by the Affordable Care Act, such as undocumented immigrants. Event materials were presented in English, Spanish, and Chinese both days, which allowed an active participation by the community. AMPHS distributed literature and healthcare insurance options and gave relevant information to community members about all the services offered by AMPHS. 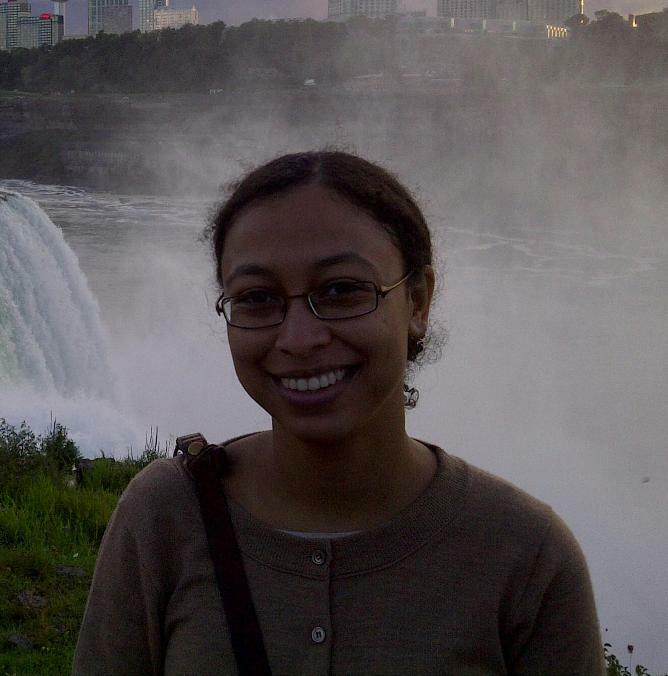 “Health Reform & You” was part of the myAMPHS Open Access Program, which aims to break down the lack of access to care for undocumented immigrants, striving to provide affordable health for all people as a basic human right. “AMPHS believes every person should have the opportunity to get access to all preventative care services,” said Mon Yuck, Chief of Staff at AMPHS. Undocumented immigrants may be eligible to receive Permanent Residence Under Color of law (PRUCOL) Status, New York State Medicaid for Emergency Care, Emergency Medical Treatment and Labor Act (EMTALA) / Consolidated Omnibus Budget Reconciliation (COBRA) Act, NYC Health and Hospital Corporation (HHC) assistance, Pre-natal Care Assistance Program & Family Planning Extension Program, and free and low cost clinics. AMPHS will provide public community workshops, seminars, individual consultations, prescription assistance, regular health screenings, and wellness check-up for all Open Access members. AMPHS is expecting to hold future events to provide health services to those who my need it. If you’d like more information, please call (212) 256-9036 or email at national@amphsonline.org. The Academy of Medical and Public Health Services (AMPHS) has partnered with Vision USA to help eligible individuals apply for ophthamology check-ups at no cost to Brooklyn residents. 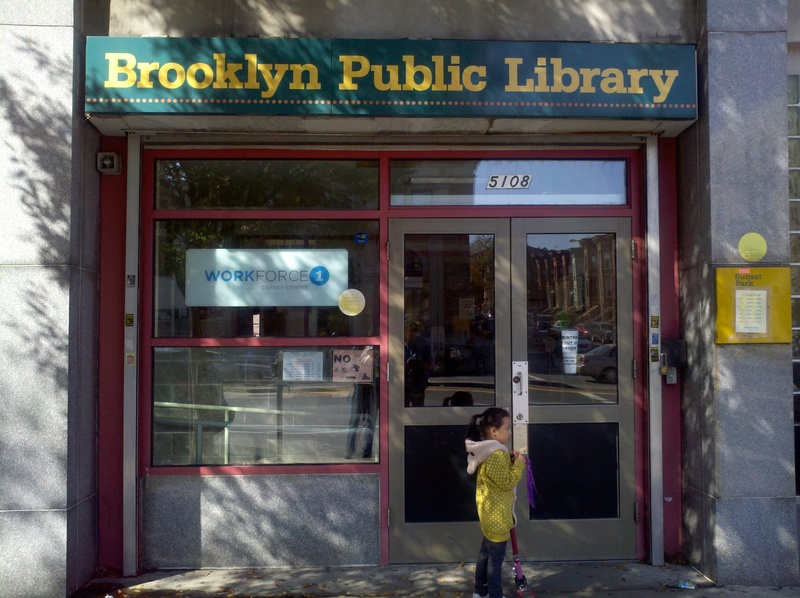 AMPHS is the only organization authorized to offer Vision USA services in Brooklyn. During our in-house screenings, clinical volunteers will continue to offer the routine Snellen eye checks but if they find that the community member needs prescription glasses, they will assist them in applying for VisionUSA service and professional follow-up. To apply for these free ophthamology services, a community member must work with a charitable organization (such as AMPHS), a social worker, case worker, or a community health agency to submit an application. Vision USA was created in 1991 by The Optometry Cares and the American Optometric Association (AOA) Foundation to provide basic eye examinations to low income Americans across the U.S. Vision USA is currently available in 40 states. All community members who need vision examinations and cannot afford health insurance are very welcome to apply through AMPHS at anytime. AMPHS also provides health screenings once a month which include: body mass index assessment, blood pressure measurement, heart and respiration rate, oxygen saturation, memory and HIV screenings, nutrition and lifestyle choices consultations. All screenings are FREE and strictly confidential. AMPHS is a humanitarian 501(c)3 non-profit organization operated exclusively by volunteers dedicated to providing free healthcare services to underprivileged communities of Brooklyn and New York City. From strengthening our foundation through the public trust, we work to integrate healthcare systems, education, awareness, and disease prevention such that all people can appreciate healthcare not as a privilege, but as a basic human right. Vision USA is a program created by The Optometry Cares and the AOA Foundation. This foundation was incorporated as a non-profit and strives to expand eye health and vision care access to everyone in the U.S. Vision USA was created in 1991 to provide basic eye examinations to low income Americans across the U.S, and is currently available in 40 states. For those of you who wish to sign up for healthcare insurance or have family, friends, and neighbors who need insurance, you can enroll in affordable healthcare insurance at Academy of Medical and Public Health Services (AMPHS’) healthcare screening on Saturday, November 17th from 1:00 – 5:00 PM! A facilitated enroller will be present to hand out information, answer your questions, and enroll you, your loved ones, and neighbors in affordable public healthcare plans. In recognition of National Alzheimer’s Disease Awareness Month, AMPHS will be screening for risk factors for Dementia and Alzheimer’s Disease. You don’t have to be 65 years of age or older to get screened! Risk factors associated with cardiovascular disease, Type-2 diabetes, genetics, and other risk factors may contribute to Alzheimer’s Disease or early-onset Alzheimer’s. Because early-onset Alzheimer’s can happen before 65 years of age, we encourage community members as young as 21 years of age to screened, especially if the disease runs in the family. NO Insurance or ID Required! Anyone of any age can get screened! All screenings and consultations are free, strictly confidential and performed with your consent.